Exposure to the elements takes it's toll on everything. Cars, recreational items, ATVs, etc. are all susceptible to damage from the Sun, wind, and rain. 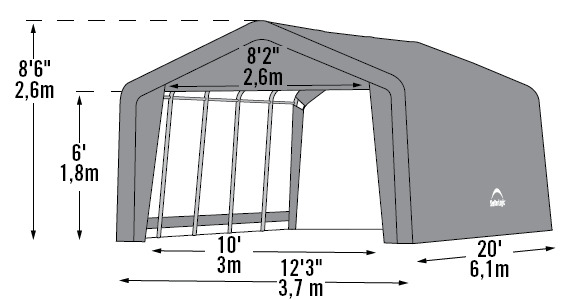 Keep your outdoor items in great shape with this Garage in a Box from Shelter Logic. The shelter system features a sturdy heavy duty steel frame system that employs a DuPont powder coated finish to resist corrosion and water damage. 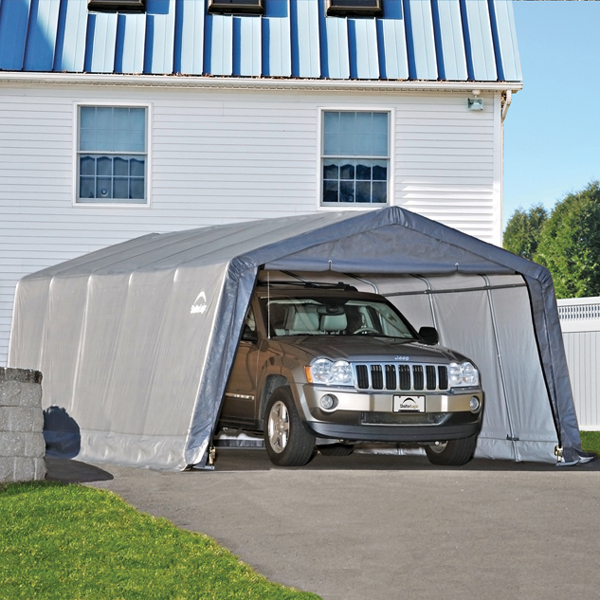 The triple layer waterproof polyethylene cover is UV treated to block the Sun's rays. What is the weight of the cover? 9 oz? Also, how does this item compare to #71434? Yes, it does have a 9 ounce cover. Both of the items have 9 ounce covers. The first item you are inquiring about has a 1-3/8" diameter, while the 71434 has a 1-5/8" diameter frame, making it sturdier.